We are excited to announce we have been re-engaged to manage the communications and PR strategy, including social media management, for the highly successful Tourrific Prospect street party for a fourth consecutive year. 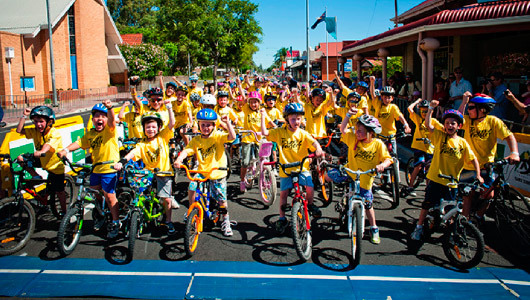 While the City of Prospect is not hosting a Tour Down Under stage this year, the street party event, to be held on 19 January, has been so well received by the community that it will continue as an associated event of the Santos Tour Down Under (STDU). The 2015 Tourrific Prospect Street Party will be held on the evening of the official STDU rest day but attendees won’t be left wanting for something to do, as there are a number of activities, attractions and entertainment planned for people of all ages to enjoy. The street party was attended by a record 21,000+ people in 2014, and has grown by about 25% each year since its inception in 2012 thanks to increased awareness of the event through effective communication and PR strategies.